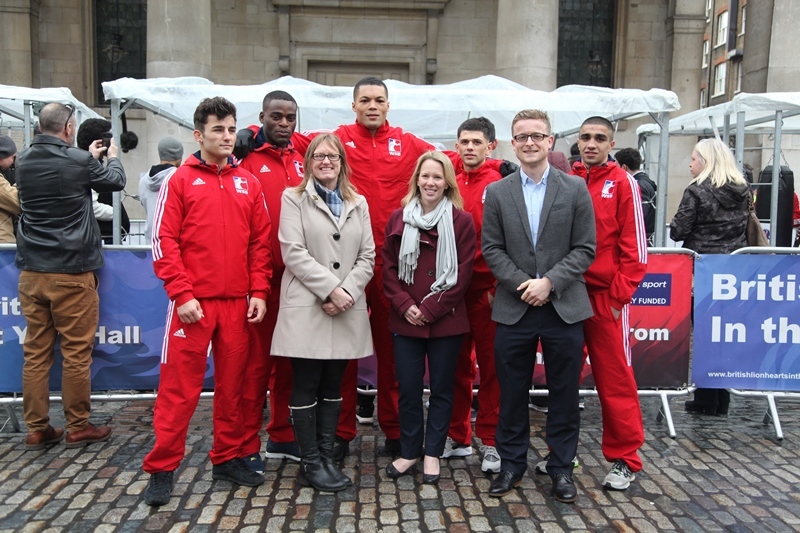 Known as British Lionhearts in the Community, the new programme is linked to the British Lionhearts team that competes in the World Series of Boxing (WSB). • Deliver training and opportunities to enable people to get involved in the sport as a coach, official or volunteer. The British Lionhearts franchise is a partnership between GB Boxing, which manages the Olympic boxing programme, and the International Boxing Association (AIBA) which operates WSB. The franchise is supported by funding from UK Sport’s major events budget. Each community engagement day will take place in a busy public space and feature a mobile boxing ring managed by trained England Boxing coaches. Members of the public will be given the opportunity to try boxing training, learn basic skills and sample aspects of the sport such as hitting a punchbag or working the pads with a coach. Individuals that show an interest in learning more about the sport will be directed to their local boxing club. The first phase aims to engage with more than 2,600 people across the six boroughs and establish contact with individuals that are interested in taking-up boxing or becoming more involved with the sport. WSB provides a qualification route to Rio 2016 whereby a boxer that competes can be eligible for selection by GB Boxing to compete at the WSB Olympic qualifying event in Sofia in May. The Lionhearts currently sit top of Group B with three wins from three fixtures this season with the next home match at York Hall, against the USA Knockouts on the 3 March. England Boxing has appointed its Community Support Officer for London, Richard Powers, to project manage British Lionhearts in the Community. He will co-ordinate a range of partners that will deliver the community engagement days and Boxing Leaders and BOX coaching courses. These include: Sports Development teams and boxing clubs in each of the six boroughs, London Sport, Get Set Go Sport, Ealing, Hammersmith and West London College (EHWLC), Barnet and Southgate College, Westminster University, Greenwich Leisure Limited, Urban Trench Warfare and Fight4Change. Further information on the British Lionhearts boxing team and the World Series of Boxing is available at @Brit_Lionhearts and worldseriesboxing.com.